I just received mine from Brownells today and let’s just say I am disappointed. I love Magpul products. I have mags, grips, handguards and I have never had anything negative to say about any of their products. I even have a Magpul cell phone case that I think is great, but the EVO grip has some issues for me. First the positive, I do like the angle of the grip and how it feels in the hand. Now for the issues. First I had to separate the two halves to get the grip on. There was no way the grip was going to slide on. Second, once the grip is installed there is a gap at the top of the grip. I have tried multiple times putting the grip on and really cranking down on the screws but there is still a gap. Lastly, I cannot remove the trigger pack with the grip installed. Again, I tried putting it on multiple times and fidgeting the grips position but no matter what I cannot remove the lower with the Magpul grip installed. Keep in mind I have three Evo Scorpions. 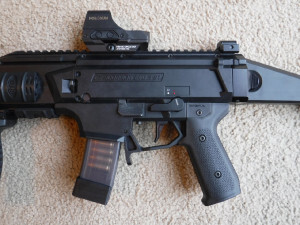 I have installed other after market products for my Scorpions and never had an issue. Personally I think this product will result in some negative feedback and it will only be a short time that they will release a Gen 2 version. Hopefully the Gen 2 will be one piece, with better fit, and a storage compartment. I will try to post some pics of it installed with the gap. I got my grip from MagPul Saturday and my experience with the fit is exactly as yours; a gap at the top rear of the grip. I also had to loosen the two screws to install as it was not going on otherwise. Very disappointed. By the way, I also love their phone cases. Good to hear that I am not the only one with the issues. Here are some pics. Same experiences with my Magpul grip. I installed with a rubber mallet and didn't need to loosen the two screws. Following instructions, I tapped grip until it was in full forward position flush against the trigger pack. 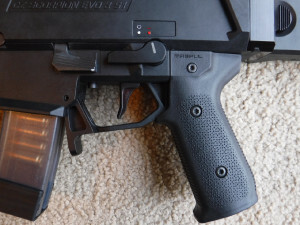 In this position, the trigger pack was not removable. 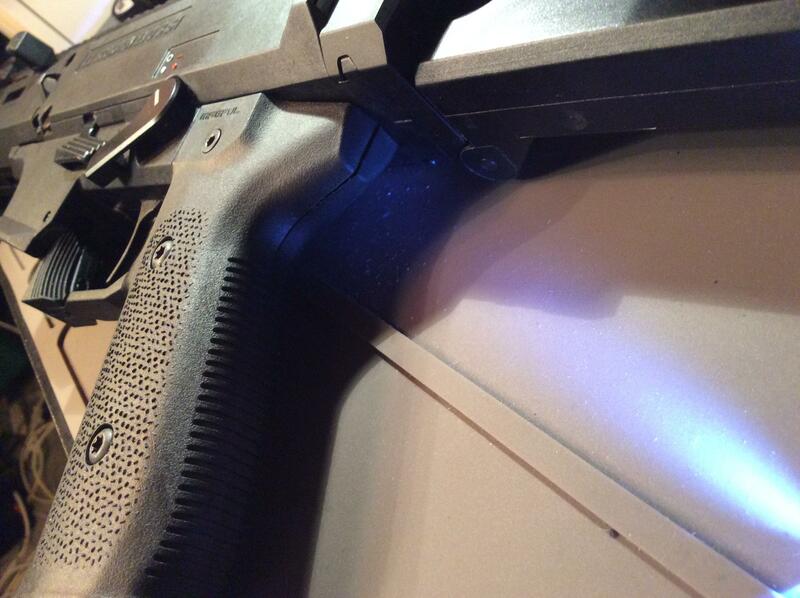 However, tapping the grip about 1/32 inch (or less) back allowed the trigger pack to be easily removed. Only an ever so slight bit back is necessary and gap isn't even visible. Installed, the back of my grip also had a gap at the top of the backside. 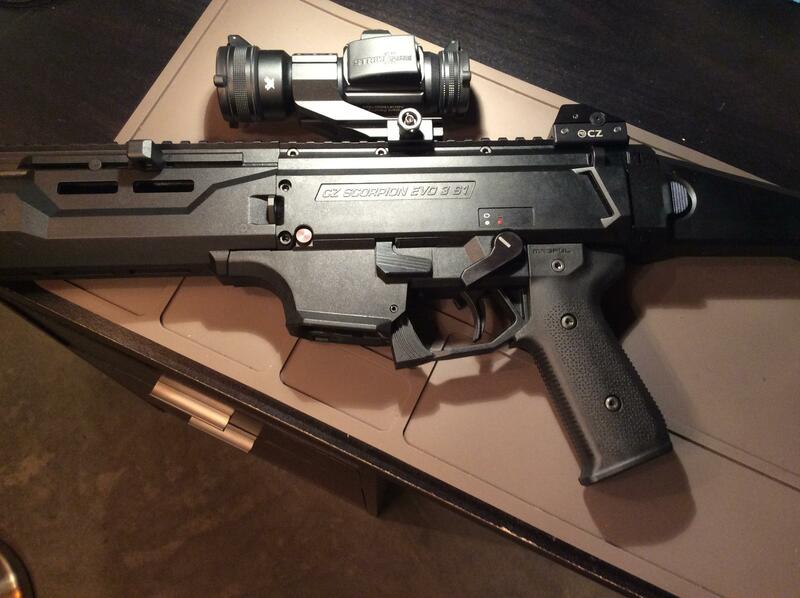 Not sure, but the trigger pack may be looser with the Magpul grip. However, I don't feel like reinstalling the OEM grip to verify this. On the positive side, the texture feels good in the hands and provides a solid grip. The angle is much better than the OEM grip. 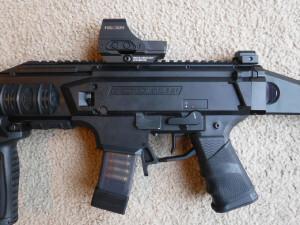 I will keep the Magpul grip on since it satisfies my 922r requirement. 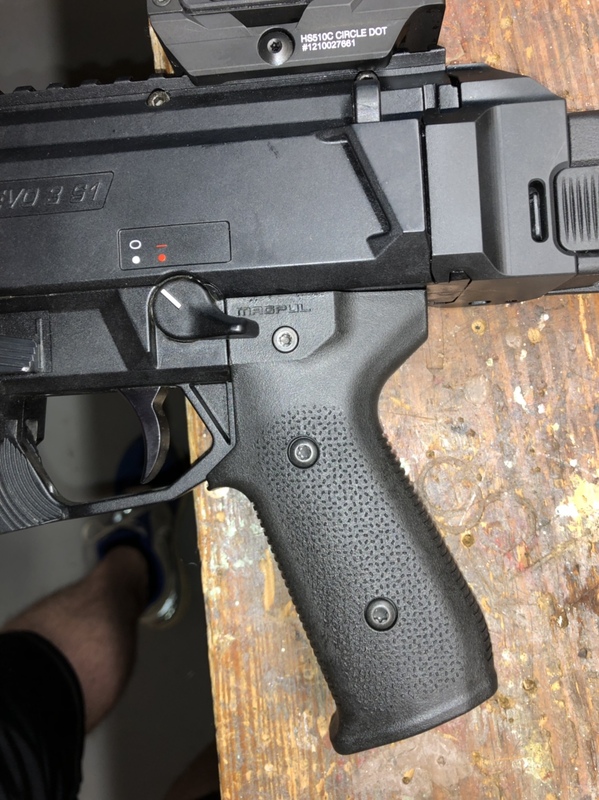 We got a free sample grip from Magpul to display on one of our Scorpions at NRA in Indy this week- same issues on all three in house guns we tried it on- had to split the halves just to get it on the guns, a gap at the back and unable to remove the trigger pack once the grip was on. Took it off and using OEM grips. Ergonomics are great, but the construction and fitment is a no go in my book. That's a bummer. OP, did you have the same issue? I ordered one the other day, hasn't shipped yet, might cancel.